The Man With The Kryptonite Sock. 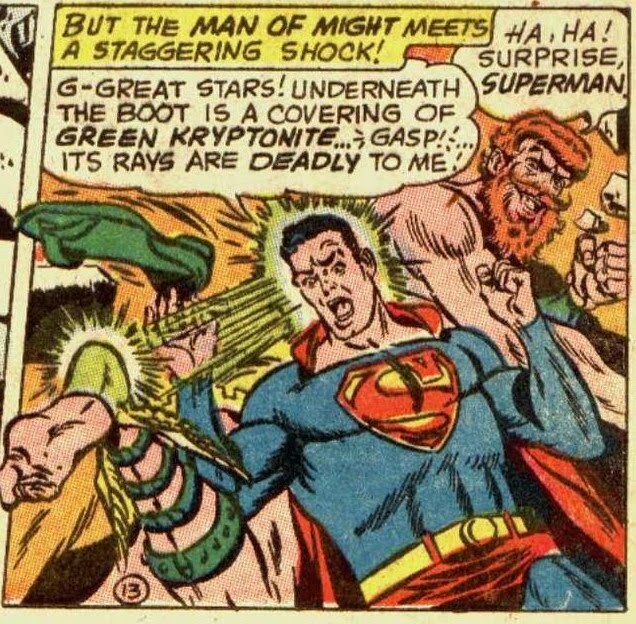 Yesterday, in my Metallo post, you may have noticed an intriguing figure with an interesting (and slightly familiar) name. That’s right. 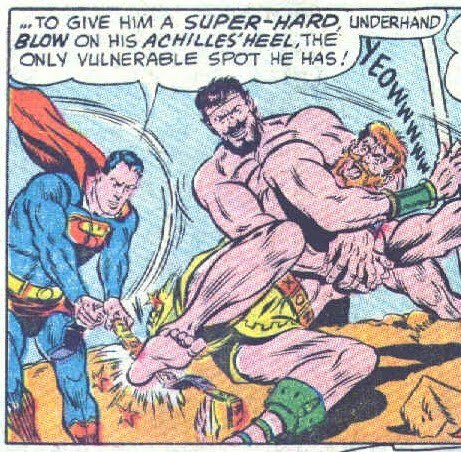 The man’s secret weapon was a Kryptonite sock, used to cover his Achilles heel (because when Achilles gives you invulnerability, obviously you get the heel of instantaneous defeat to go with it). 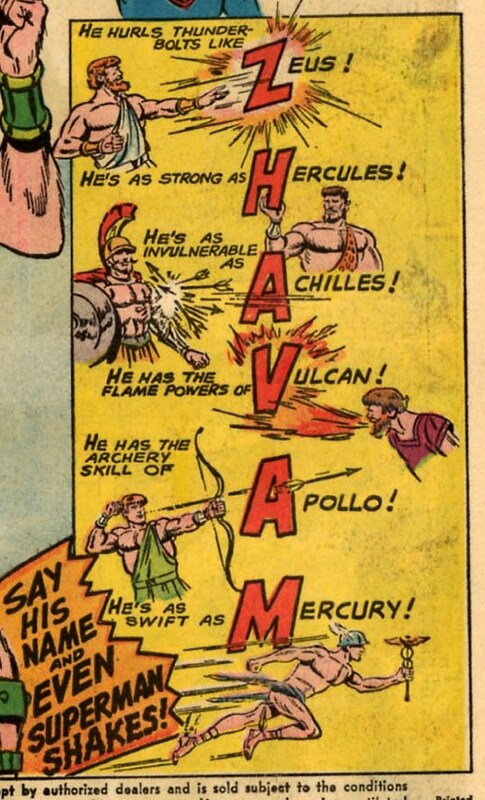 Name, powers, and general Silver Age cheesiness aside, the whole thing was actually pretty creative. The whole motivation behind the Gods creation of Zha-vam was a good one, and the story ran for three consecutive issues, which was virtually unheard of back then. Comments Off on The Man With The Kryptonite Sock.